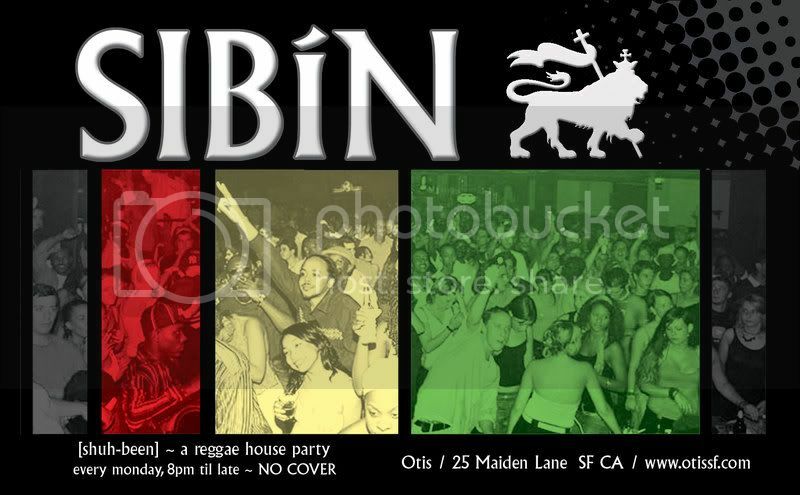 Come and see me Mondays at Sibin inside of Otis @ 25 Maiden Lane in Downtown San Francisco between Grant & Kearney right off of Union Square. Get there early as I always drop the heavy Dub set from 8-9:30 followed by L-Boogie inna bashment style and we just added Nikka T to the rotation with the Modern Roots selections all in an upscale lounge. DJ Nikka T of Joseph Starr Sound (www. myspace. 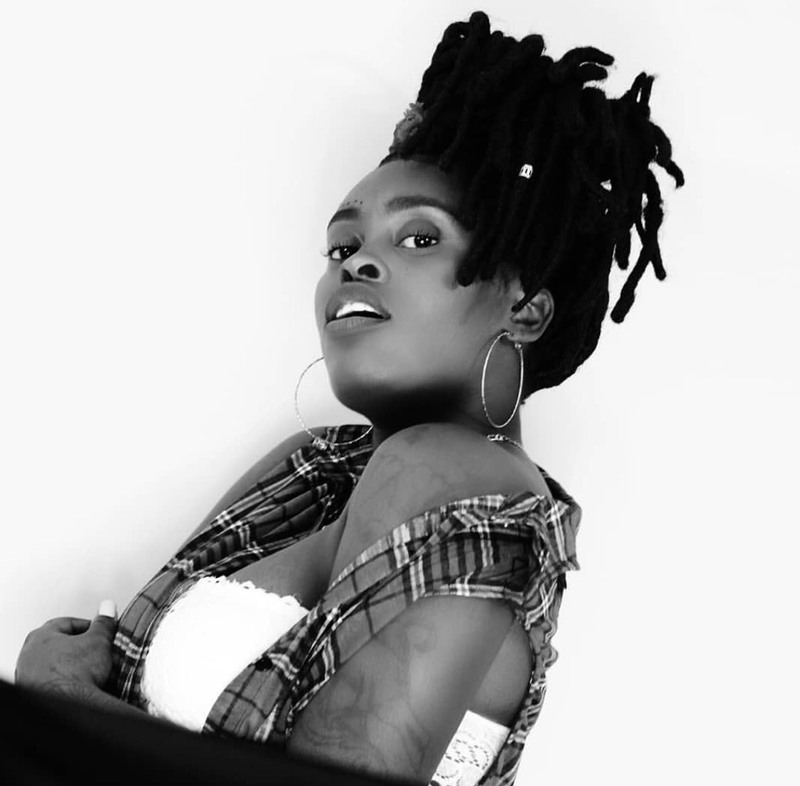 com/djnikkat) is one you better watch out for, a rising star on the Reggae scene that has a passion for the music that is inspiring and stays on top of the latest riddims that will rival any DJ in the Bay. Nikka works with True Skool, has two weekly parties (Rise Up and now Sibin), a monthly party called Lover's Rock @ Ettiqutte on Market & 7th in the City and works for a Radio Station in Marin, so let's just say that his game is strong. It is an honor that he has decided to help us run Monday nights and take Sibin to the the next level. Check the flyer... I got a new one coming soon!!!! Give thanks to all of you that come thru regularly and our sponsors , we are ever greatfull for you support! See you next Monday. March is looking to be a great month. 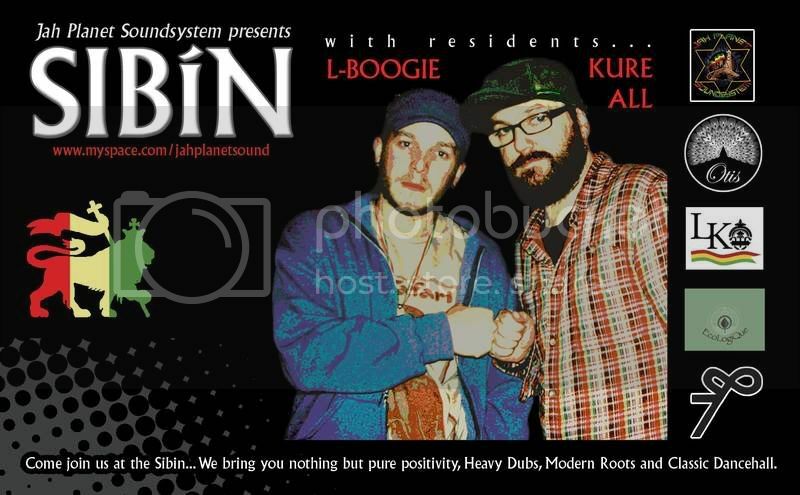 I am moving, got booked for a new party, added a new partner to Sibin Mondays, a Reggae Legend is coming to town, some friends are throwing a benefit concert with a line up that showcases the best of the Virgin Islands/local talent and who knows what else will happen.